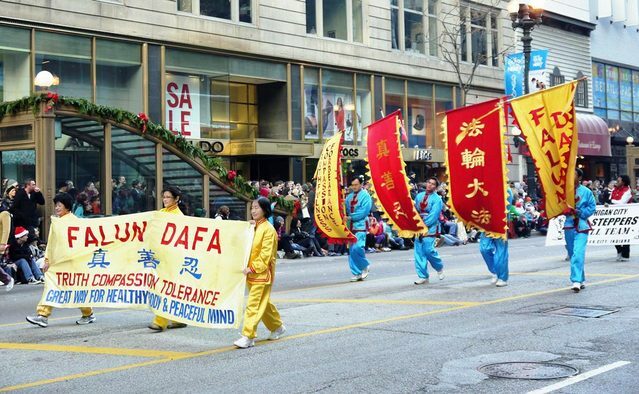 On November 22nd, Chicago Falun Dafa practitioners participated in the 2nd largest Thanksgiving holiday parade in the US. Their colourful float received high praise from spectators. The Chicago McDonald’s Thanksgiving Parade is the second largest Thanksgiving parade in the United States, with a history of 79 years. Every year, the parade is broadcast live to millions of households. 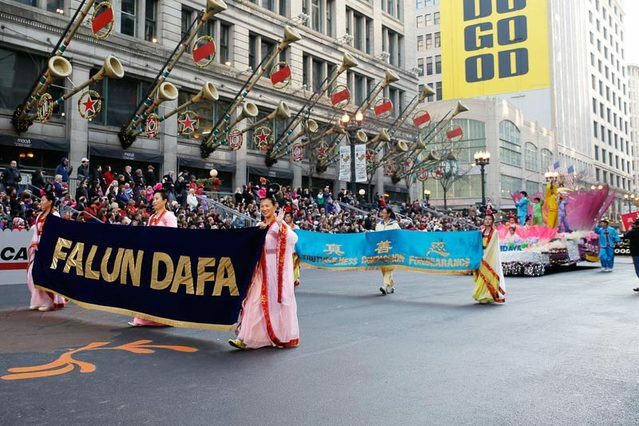 Since 2003, the Mid-USA Falun Dafa Association has had the honour of participating in this very selective parade every year. On November 22nd, Chicago enjoyed its warmest Thanksgiving holiday since 1966. Tens of thousands of spectators packed both sides of downtown's State Street. Over 100 groups marched in the parade. The Falun Dafa group has presented a dazzling new float design every year for the last decade. 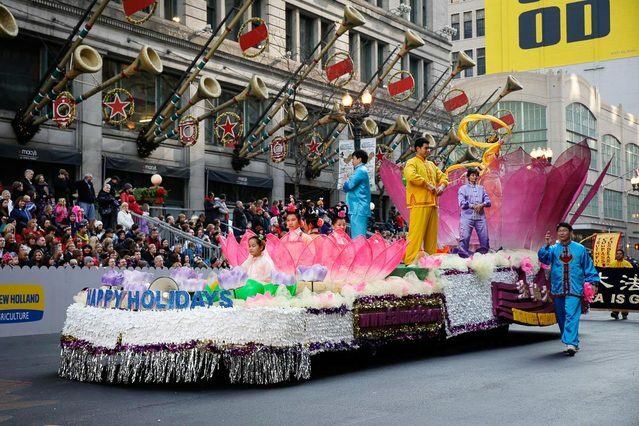 In 2011, a picture of their float was published in a prominent spot on the Chicago Tribune website. This year, their float featured a beautiful lotus flower design. The host of the parade introduced Falun Dafa several times and commented that the float was “out of this world.” He also told the spectators with excitement that he felt strong energy from the Falun Dafa float. Many people followed along with the practitioners who were demonstrating the Falun Gong exercises on the float.